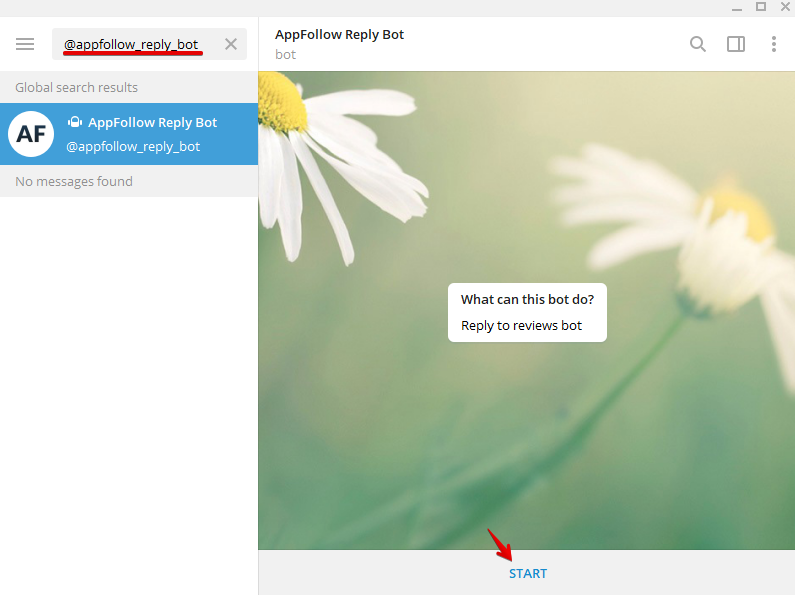 Telegram Reply Bot from AppFollow helps you reply to user reviews right from your Telegram app or a group chat. 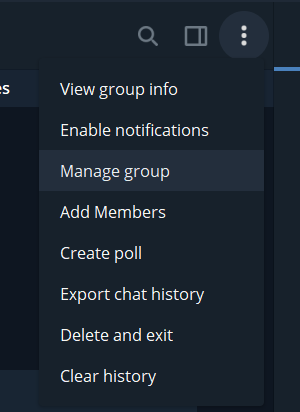 You can get all app reviews and manage them not leaving your Telegram chat. Now you can check that the integration works correctly. 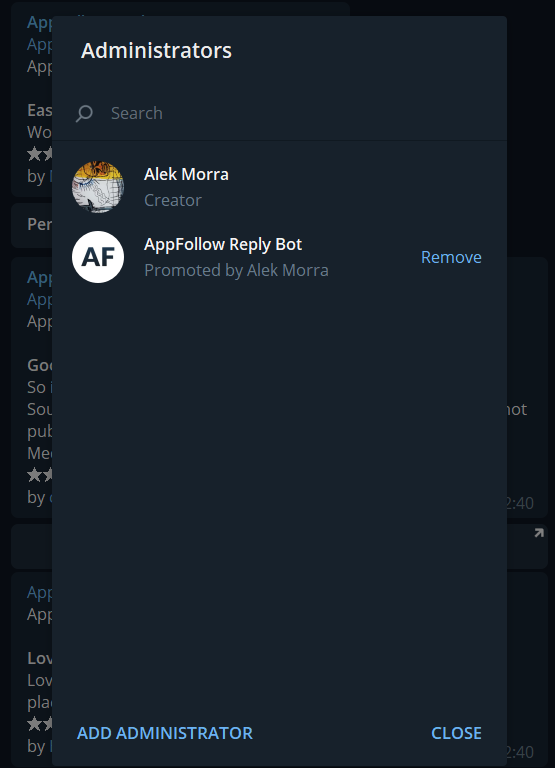 To do so go to your AppFollow Integrations page, find the Telegram integration you've just added, and click "Actions" - the three dots near the integration. Click "Send Test Notification". If everything works correctly, you will get a review into your Telegram app. To be able to send replies to app reviews, set up integrations with App Store Connect and Google Play Console first. 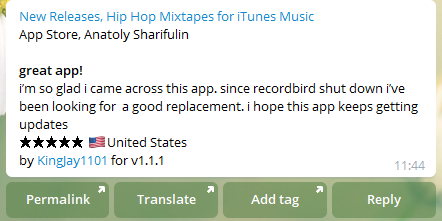 We will add the auto-translate and tags features in one of our next releases. Stay tuned. 4. You response will be sent for the app store's team approval. After moderation it will be published. Type /cancel to cancel your reply publication. You can edit it and send later. You can app @appfollow_reply_bot to your work chat. This way your team members, e.g. developers, marketers, customer support, will be able to reply from the single chat. 4. Add @appfollow_reply_bot to Administrators. Set up Telegram ASO Bot to look for ASO insights and trends right in your Telegram app. Need help? Hit the chat button on the right, we're all ears!